Comic books have a long history of acting as parables and/or allegories to teach lessons or talk to us about the world we live in. MetaMorphosis, which debuted this week on ComiXology Submit, is an attempt at this tradition giving us a veiled tale about our current wars in Iraq and Afghanistan. Gregor Samsa wakes up from troubling dreams and discovers that he isn’t the same THING he was when he went to sleep… To give away more is to ruin the tension and reveal the first issue builds up to. 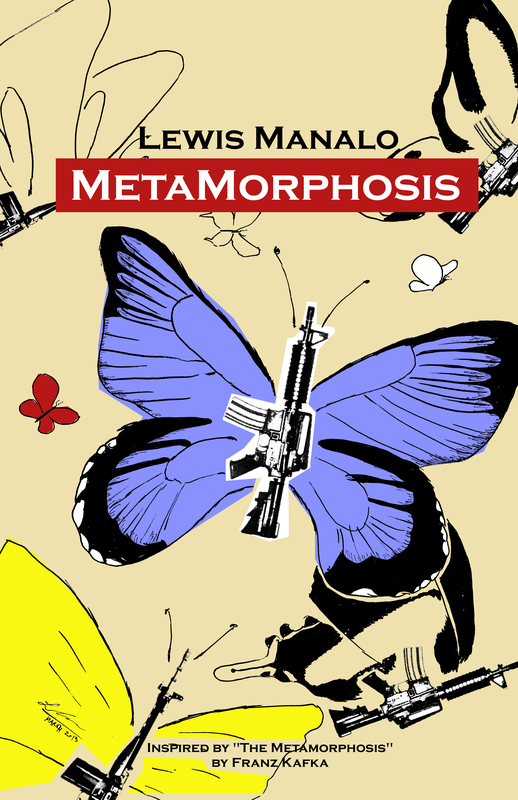 Written by and with art by Lewis Manalo MetaMorphosis #1 is an interesting and fun read. Based on the Franz Kafka story The Metamorphosis, the stories first issue follows the plot of that classic story pretty closely. What’s fascinating is Manalo’s attempt to comment on the wars mentioned above. Could the metamorphosis the title refers to actually be how war changes a person? Is it that simple or is there more to it? We’ll find that out as the series continues. I particularly enjoyed how the comic begins with a rather banal conversation between soldiers and then moves into domestic life and building up the tension of the story. For as good as the story is, the art is rather lacking. Manalo does double duty and it’s clear where his strength is. But, what’s fascinating is his use of ComiXology’s Guided View. He’s able to build up a lot of tension through the panel shift, which helps overlook the mediocre art. The characters are unique, it’s easy to tell what’s going on, it’s just a bit above average though. That panel shifts though really work helping build tension throughout the first issue. It’s clear Manalo has a great grasp of storytelling and he just needs to either put a bit more work in the art, or find an artist to collaborate with (as long as that person can use Guided View to its ability as well). Overall the comic is a solid indie comic. For 99 cents, it’s kind of hard to not recommend and it’ll be interesting to see where he goes with his allegorical tale and how closely it follows Kafka’s original.